Today we have an abundance of kitchen appliances designed to make our lives easier. Some of these devices are bought out of curiosity or received as a gift. At some point, the kitchen may become overloaded with appliances – many of them are not used altogether. To make more room, we simply throw away them with time. Only really useful kitchen devicesremain in at service for your daily kitchen chores. One of such appliances is the Instant Pot, which has won the trust of millions of users around the world. Today we will tell you how to use this miracle device. The Instant Pot is an electrically programmable pressure cookerwith a multitude of additional functions. In fact, it has so many functions that we are not sure if most of the users will regularly use them all. Its main function – the pressure cooker mode – remains the most demanding feature. It allows significantly reducing cooking time comparing to traditional methods of preparing food or cooking in a slow cooker. So we have mentioned a term ‘pressure cooker’, and it is time to say a couple of words about it. Such an appliance is equipped with a special airtight lid that fits snugly against a pot. During the cooking, the pressure builds up inside the device, which is caused by a sealed lid and boiling water. Pressure significantly increases the boiling point of water, which affects the cooking time. Unlike multi-cookers or similar appliances, in a pressure cooker food is cooked much faster. Instant Pot’s advertising says that this cooker can replace seven kitchen appliances, among which are a rice cooker, electric yogurt maker, steam cooker, and slow cooker. So in fact, you get a 7-in-1 device that does its job exceptionally well. • The inner pot is made of stainless steel. Unlike most electric pressure cookers, all the surfaces that contact with food are made of stainless steel, and the housing is made of dielectric plastic. So, the Instant Pot doesn’t have Teflon or other harmful coatings in contact with food. • A wide range of application. As a multifunctional device, Instant Pot can replace a multi-cooker (slow-cooker), rice cooker, sauté pan, and steam cooker. 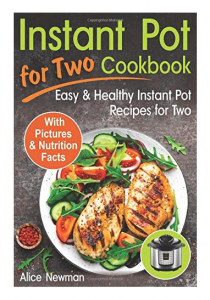 Some users even say that they now use Instant Pot so often that they forgot about a regular stove and oven. • Save time. This, perhaps, is the greatest advantage of the Instant Pot. It takes only an hour to cook a dish in the Instant Pot, while it requires 6-8 hours to cook the same food in a slow cooker. Moreover, you can even cook a meat roast for dinner in just 40 minutes. It is extremely useful for working days when food needs to be cooked quickly in the evening. • A multitude of functions. This is one of the Instant Pot’s advantages over simple pressure cookers and most slow cookers. Since food is prepared very quickly, sometimes there is no need to immediately start cooking as soon as ingredients are placed in the Instant Pod. Ingredients put in the pressure cooker can just wait for their time to come as this appliance has a delayed start. Instant Pot allows you to program cooking for 24 hours ahead and has several pre-set cooking modes for ease of use. • Energy saving. The Instant Pot has its own built-in electric heating element. Therefore, it does not need an additional electric or gas stove, which is more energy consuming. Due to the self-regulating heater, the pressure cooker is safer and easier to use. • Easy to clean. A quick-release inner pot is easy to clean both manually and in a dishwasher. Soup – allows cooking soups in just 30 minutes using high pressure. Meat/Stew – cooking time is from 20 minutes on high pressure. The time may vary depending on whether you use fresh or frozen meat, the size of pieces, etc. Bean/Chilli – high-pressure cooking that allows getting your meal ready in just 30 minutes. Poultry – get your delicious chicken in just 15 minutes with the help of high-pressure cooking. It may require more cooking time if you use frozen chicken or large portions. Rice – cooks your rice fast even on low steam pressure. The time of cooking starts at 12 minutes. Multigrain – allows cooking various cereal, rice, quinoa, etc. Your meal gets ready in 40 minutes thanks to high-pressure cooking. Porridge – it takes as fast as 20 minutes to cook your porridge with high steam pressure cooking. Yogurt – this fully-automated mode offers three programs to cook yogurt, pasteurized milk, and fermented rice. Sauté – this mode allows replacing a skillet in your kitchen. In this mode, you can cook without a lid to brown your meat. With the help of the Adjust button, you can set temperature as less, normal and low. Slow Cook – this function implies cooking without pressure. You can set cooking time between 30 minutes and 20 hours. Also, you can adjust cooking mode to be set to normal, more or less. Steam – cook healthy food in just 10 minutes. This mode requires using a rack to prevent burning. Manual – you can switch between low and high pressure when cooking in the pressure mode. Timer – this button allows you to program the Instant Pot for a delayed start. Can be used for pressure cooking and slow cooker modes. Adjust – this button allows you to adjust the temperature when using the Instant Pot in slow cooking and sauté modes. Keep Warm/Cancel – you can set the Instant Pot to keeping your food warm or cancel this mode with this button. Summing up, we would like to say that the Instant Pot is an excellent appliance that can alter cooking chores. Now you can free up time for your favorite activities, rather than spend time in the kitchen while cooking. And thanks to the abundance of options you can please yourself and your family with a variety of delicious dishes. I love my instant. I have to rely on recipes until I am more used to it though. I have trouble finding recipes for just the two of us. I spoke to people in my condo and it is a common problem. Also people forget to indicate the size of their instapot. It makes a difference if you are using a 3 qt or 8 qt pot. But no one seems to indicate the size. That is especially important for seniors like me. Is it safe for me to leave it on when I am out of the house? I do this with a Crock-Pot but am wondering if that practice is still safe here. I love how many settings the Instant Pot has. You can really customize it to cook all sorts of foods. Thanks for giving a comprehensive listing of all the features here. Oh my! 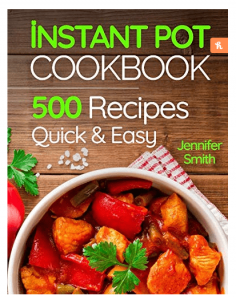 I never knew the instant pot had so many features! I’ve only recently discovered it so I was trying to do some research on it before buying it when I stumbled upon this page. It seems to offer a lot of function, easy to clean, and basic overall appliance that I would honestly benefit from. Thanks for sharing so much useful info. I think I’ve made my decision!